Always so wonderful to come here. My humble thanks for the opportunity to share my words. This was a more difficult one. Thanks, Tess. Qutie a challenge this week! Trying hard to justify the prompt by substituting a car for the bike and a tree for a 'phone booth! Thanks JC for the correction on your link..
Ah...Sean Mahoney, a fabulous photographer! Great prompt this week Tess. As a non-mobile phone owner, I applaud this one......! This prompt immediately brought Dr Who to mind. His Tardis (originally a London Police Box - for the telephone many moons ago). Now of course his sidekick has a mobile. I loved the colors and the attitude of the biker. An inspiring prompt and earth friendly. Thank you, lovely lady! fabulous image Tess- I needed this after our epic move 350 miles south...whew! Such a fun one, Tess, thanks! Mmmmm...this one made my head hurt a little, lol. But I finally managed something. This is just a beautiful image, Tess. My version of it got a bit pinker than I intended, but I am ashamed to say I just left it like that! It the guy's name really Epic? K.
That's for such an awesome Mag. One of my shortest. But fun! Has his satnav packed up? Great prompt. Love this image and it was fun to write a haiku at it. Wonderful photograph. This guy has some explaining to do! Nothing like a cycle ride to keep us fit...Thanks, Tess! Late but glad to have showed up - thanks for the fun! Finally got some inspiration while filling in my Weight Watchers tracking sheet, five days late. :-) Thanks Tess. What's interesting is I thought I wouldn't be able to write for this, but then suddenly, it came to me. Hmmm...which way should I go which way should I go? Short and sweet this week...a fun take! Liked this picture. Thanks Tess! 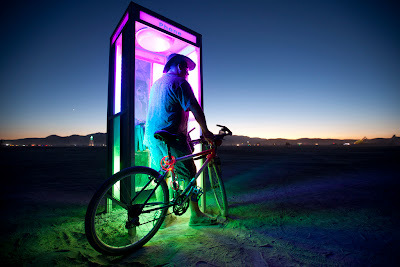 That's one well lit phone box! Loved this prompt!! Enjoyed writing with it in mind. Somehow I managed to screw up my latest Magpie linky .. sorry. If you remove it, I will try again. I could have gone on indefinitely with this one, I think... Beautiful and inspiring image, Tess!!! lokking foroward to catching up with all my favorite writers...thanks Tess!! Been a sad week at my house and I am grateful for this Mag image to ponder. Nothing like coming in last in the race! !